February 11, 2018  The distance marks a record: the farthest from Earth an image has been taken. 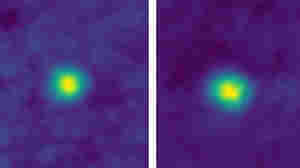 Before NASA's New Horizons probe caught these glimpses in December, the 1990 "Pale Blue Dot" image had held the record. 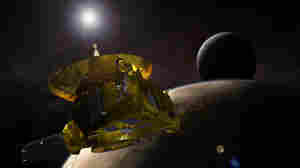 December 5, 2015  The best photos from the New Horizons spacecraft that buzzed Pluto earlier this year are now making their way back to Earth, providing resolutions of less than 100 yards per pixel. 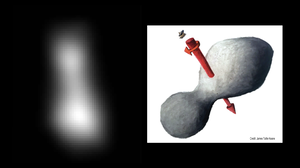 October 15, 2015  When a probe skimmed past the dwarf planet in July, researchers expected to see a cold, dead world. 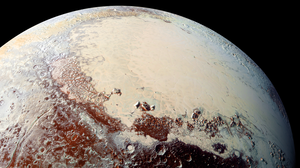 New results published today show that Pluto is an active place. 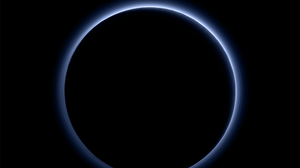 October 9, 2015  Pluto's atmosphere has a blue haze, in a new photo from the New Horizons probe. 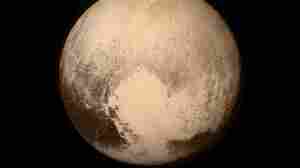 But the particles causing that color are probably gray or red — and the planet's surface has red ice. 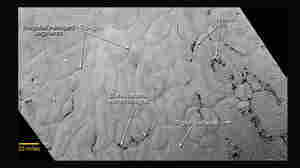 July 17, 2015  The latest photos show ice plains that appear to be only 100 million years old and a hilly region that could be what is left when surrounding material is eroded away. 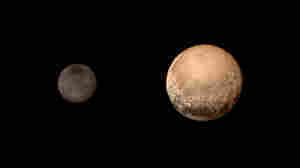 July 17, 2015  New Horizons team scientist Carly Howett says no one expected the kind of geologic activity that the spacecraft appears to have found on the dwarf planet and its moon. 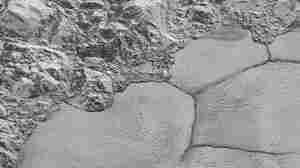 July 14, 2015  New images of Pluto are beginning to arrive from NASA's space probe, and they're already allowing scientists to update what we know about the dwarf planet. July 14, 2015  Early Tuesday morning, NASA's New Horizons Spacecraft will complete the first-ever flyby of the dwarf planet Pluto. NPR's Geoff Brumfiel reports live from the New Horizons Control center. July 6, 2015  After nearly a decade of traveling through space, NASA's New Horizons probe is about to arrive at Pluto. On Tuesday it will begin an intensive, weeklong study of the distant world.